Mobile phones today have become a necessity in human being life.It is important to be informed and connected with the world.I use my mobile for an array of requirements.I need it for checking important mails,messages and online shopping instantly.The applications associated with it are very important for me.I makes use of mobile phone to maintaining contact with my clients.And my Asus Zenfone2 makes my life complete. Why Asus Zenpfone2 should be on everyone's wishlist? Today's generation wants everything bigger,bigger mobile phones and bigger screens.We are now seeing an advent of big screens when it comes to mobiles with the launch of Asus Zenfone2. If you are that tech geek,or homemaker, or that professional on the go who needs it all in one handy device,The Asus Zenfone2 is going to be the love of your life! That is correct!Zenfone mobiles have launched their most exquisite hand held that will change your perception of a truly world class mobile experience for ever!With a 4 GB RAM and INTEL ATOM processor inside this device delivers high quality and seamless performance in every way possible. 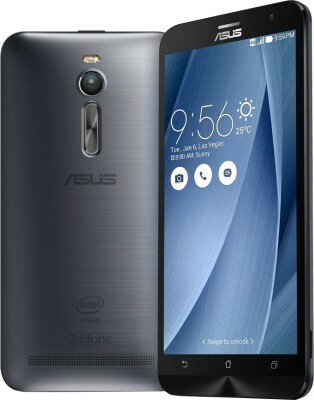 Zenfone2 has a very interactive interphase with a physical control key at the rear as well.It knows exactly what you need.Whether you are left-handed or right-handed,the new Ergonomic Arc design makes everything easier.Clicking selfies, volume keys and undoing actions are very comfortable and easy.The elegant new shape feels sturdy yet classy. The amazing looking Asus Zenfone 2 isn't just an enviably good looking device,but also has a Prize Master Camera that allows me to click super perfect selfies and produces amazing pictures in even low light. Zenphone2 comes with a 13MP Pixel Master Camera and its f/2.0-aperture lens capturing amazing ,high resolution photos with zero shutter-lag.The result is that your pictures are brighter,clearer and super detailed!Just the features I need. Brand's innovative designing make the phone look stunning! Another factor is pricing,it is priced lower than anticipated and delivers much more than you can expect! Zen mobiles have created a market niche for themselves in a short span of time with some outstanding products in the past.Their reputation is something that makes their every new phone worth waiting!